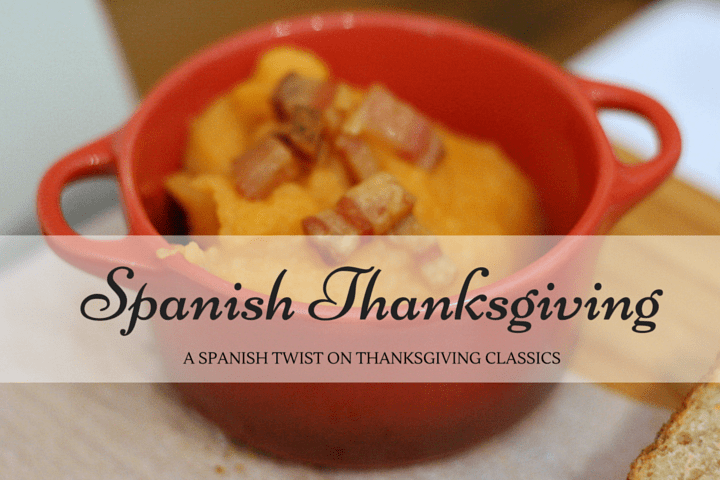 Spanish Thanksgiving dishes? But isn’t Thanksgiving an American (and Canadian!) holiday? Sure– that’s true, but as an American living in Spain, I’ve hosted more Thanksgivings here than back home! 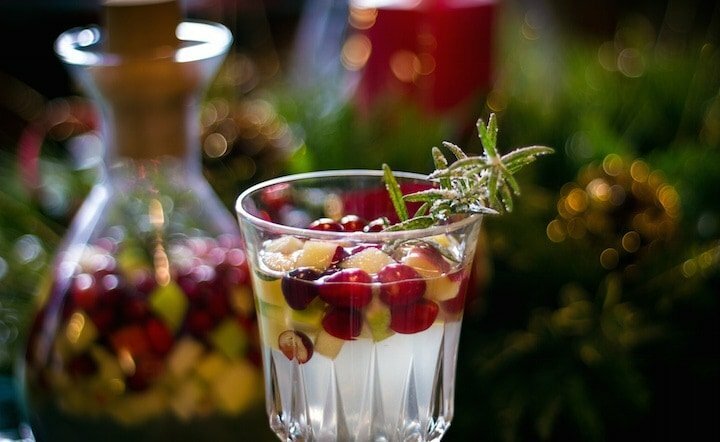 And I have some fantastic tips and recipes for Spanish Thanksgiving dishes. These may not be traditional, but they sure are delicious… read on! 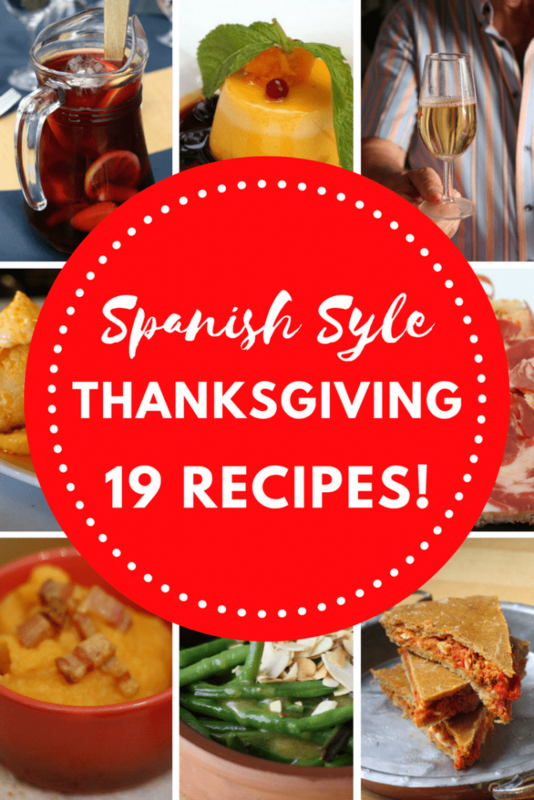 Here are some ideas for Spanish Thanksgiving dishes, from appetizers to sides to desserts– even leftovers! I’ve made most of these at some point, but don’t have a published recipe for all of them. 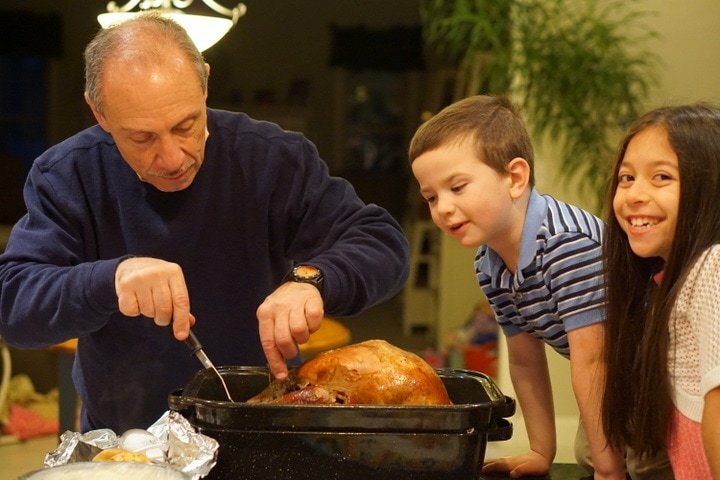 That said, a lot of these Thanksgiving ideas are easy and adaptable– and the name says it all. I love experimenting at the holidays! See also: Add a Spanish Twist to Your Thanksgiving Menu! 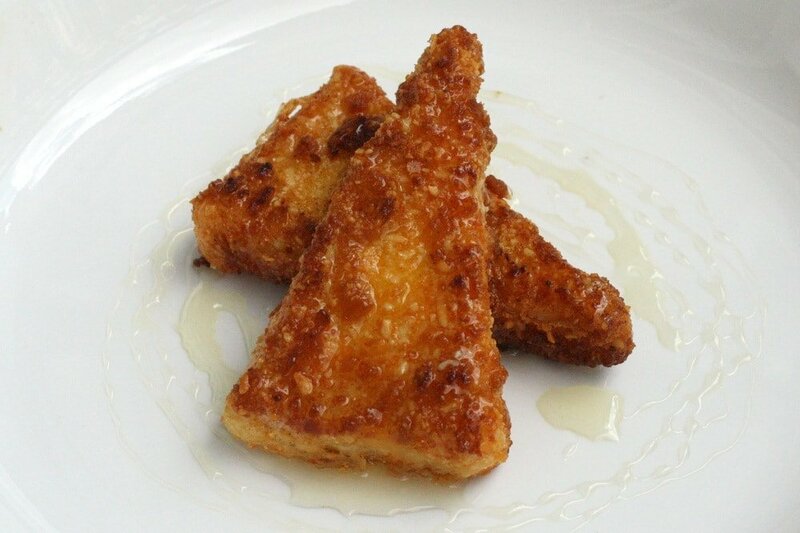 Sweet and savory fried goat cheese with honey. I love spending time with my family at Thanksgiving! 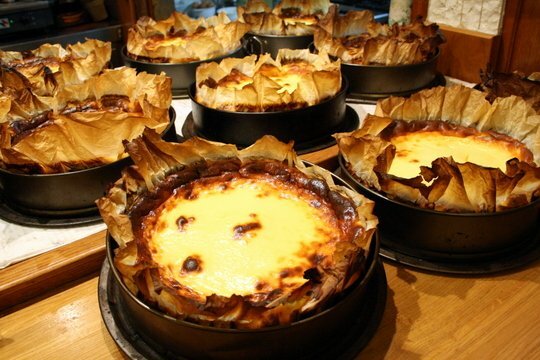 Spanish style cheesecake is to die for! 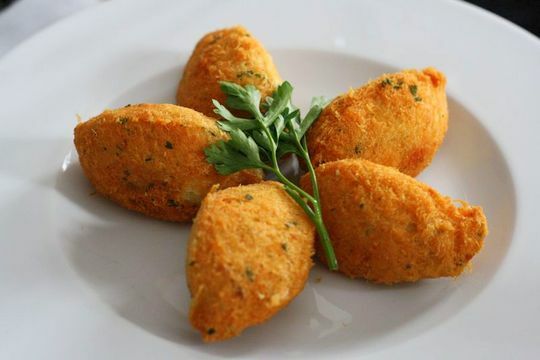 Thanksgiving leftover turkey croquettes are a great way to use leftover turkey! 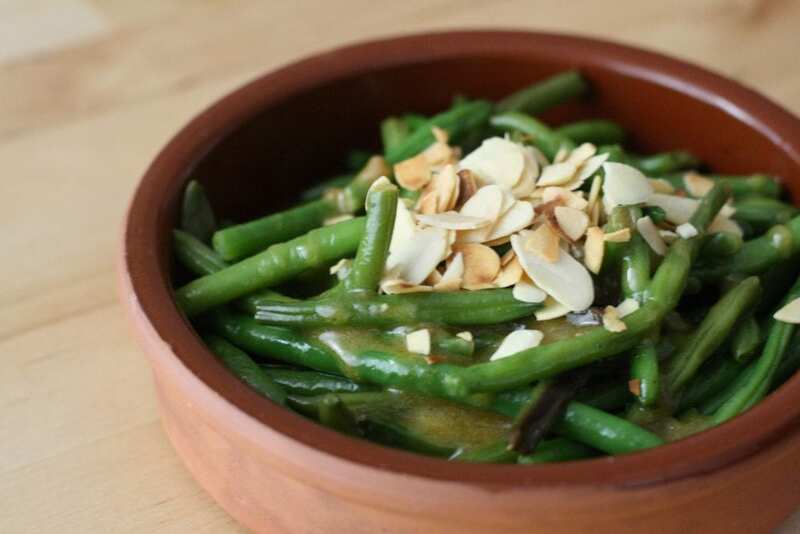 I’ll keep adding to this list of Spanish Thanksgiving dishes as I prepare to go home to Massachusetts this year (and cook some of these delicious dishes there!). And if you have any ideas that you think I should add, please leave me a comment! How about Buffalo Turkey dip using leftover bird ? As a starter one could prepare sardine bruschetta with Olive paste, chunky tomato sauce, sardines all festooned with fresh basil and EVOO. Mmm you always have great ideas!